So it was with great excitement that I took my new Porsche track car to the track. I will warn you in advance – it didn’t go very well. I towed the car to a Tar Heel Sports Car Club DE event at the Carolina Motorsports Park near Kershaw, SC. I was very excited to get on track for the first run on Saturday. My instructor and I had only gone about 3 laps when smoke or steam started coming out from under the hood. We pulled into the pits to diagnose the problem. It didn’t take long to spot the problem. The electric fan on the back side of the radiator was fouling with the hose leading out of the waterpump. 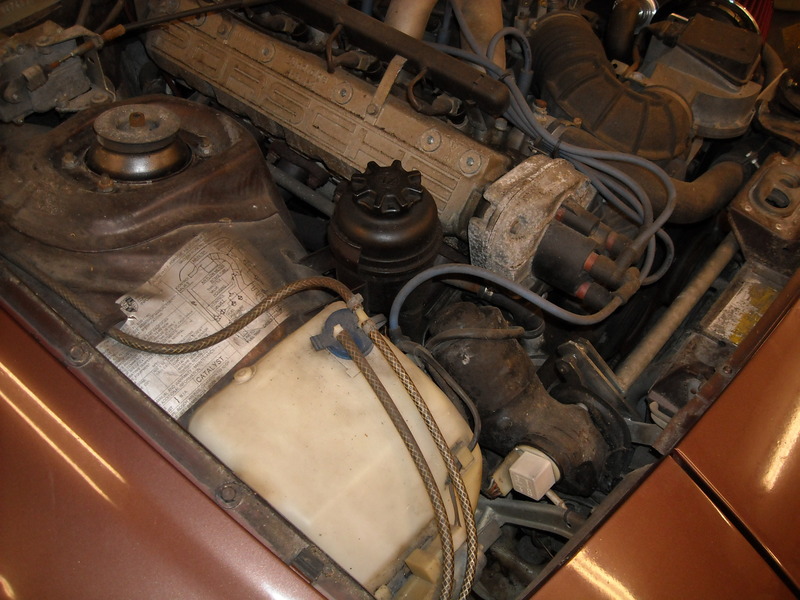 It had partially severed the hose and started a stream of coolant into the engine compartment. When I had replace the radiator hoses the previous weekend, I had not appreciated how close the various parts were to each other. Something must have shifted, causing the fan to foul. Bummer! I went into full repair mode. Unfortunately, this particular hose is bigger on the water pump end then it is on the radiator end. I wound up running into the local NAPA store and buying a short piece of exhaust pipe and some clamps. I cut the hose completely at the break, inserted the exhaust pipe inside, and applied hose clamps to seal it. I put everything back together and added water. No leaks. So I got into the car to fire it up. It would crank but would not fire. I went through various troubleshooting steps thinking the ignition system had gotten too wet. No luck there. Next I checked for fuel delivery. Basically there wasn’t any! I worked my way back to the fuel pump. It was getting power but wasn’t spinning. By this time, it was late Saturday afternoon and I was pretty much defeated. I was to find out later that the fuel pump had a piece of debris lodged in it’s impeller. Now how in the hell this happened to an engine that was running right up to the point that I shut it off to check out the coolant leak is beyond me but that is how it transpired. I salvaged the rest of the weekend by obtaining “ride-alongs” with various instructors. Fun and educational but not the same as driving my own car. Oh well, when you get lemons, you make lemonade.